For updated, accurate country of origin data, it is recommended that you rely on product packaging or manufacturer information. 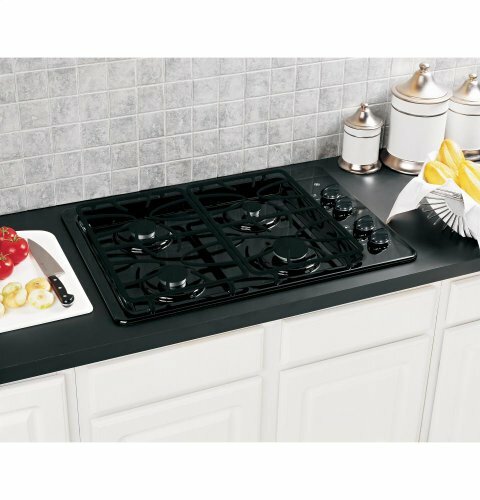 The GE JGP329DETBB Wide-Sealed 4-Burner Gas Cooktop lets you cook up delicious meals for your entire family. It's cooking grates feature a beautiful matte surface that you can easily clean in the dishwasher. 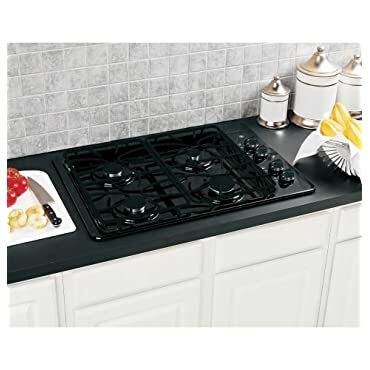 This GE gas cooktop's knobs turn continuously for smoother operation. With four separate burners you can work on multiple dishes at once. Store: soibomm Condition: New (Open Box, or other) Price: $449.99 Total Price: $449.99 Buy It from soibomm No returns. Store: Noble Appliance Center Condition: New (Open Box, or other) Price: $249.00 Total Price: $249.00 Buy It from Noble Appliance Center No returns. Last updated: April 18, 2019 at 11:51 EST. Pricing information is provided by the listed merchants. GoSale.com is not responsible for the accuracy of pricing information, product information or the images provided. Product prices and availability is subject to change. Any price and availability information displayed on amazon.com or other merchants at the time of purchase will apply to the purchase of the product. As always, be sure to visit the merchant's site to review and verify product information, price, and shipping costs. GoSale.com is not responsible for the content and opinions contained in customer submitted reviews.